We believe that building successful email marketing campaigns has never been more important than it is now. But there’s a problem; most people don’t know how to do it right. 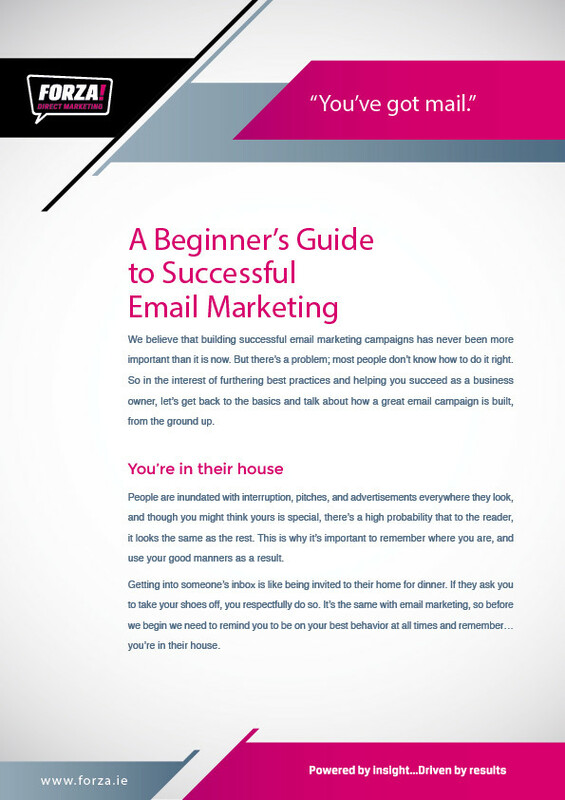 So in the interest of furthering best practices and helping you succeed as a business owner, with our email marketing guide, let’s get back to the basics and talk about how a great email campaign is built, from the ground up. You’re in their house. People are inundated with interruption, pitches, and advertisements everywhere they look. Although you might think yours is special, there’s a high probability that to the reader, it looks the same as the rest. This is why it’s important to remember where you are, and use your good manners as a result. Getting into someone’s inbox is like being invited to their home for dinner. If they ask you to take your shoes off, you respectfully do so. It’s the same with email marketing, so before we begin we need to remind you to be on your best behaviour at all times and remember… you’re in their house.